Marietta, Georgia boasts an impressive collection of upscale eateries sure to please any foodie, and Kiosco in downtown Marietta is no exception. This Colombian restaurant, located just off the Marietta Square, is known for its Sangria and tasty food, and would fit right into a list of the best restaurants in Marietta. The atmosphere is cozy, the walls are covered in beautiful paintings, and the service is friendly and attentive. 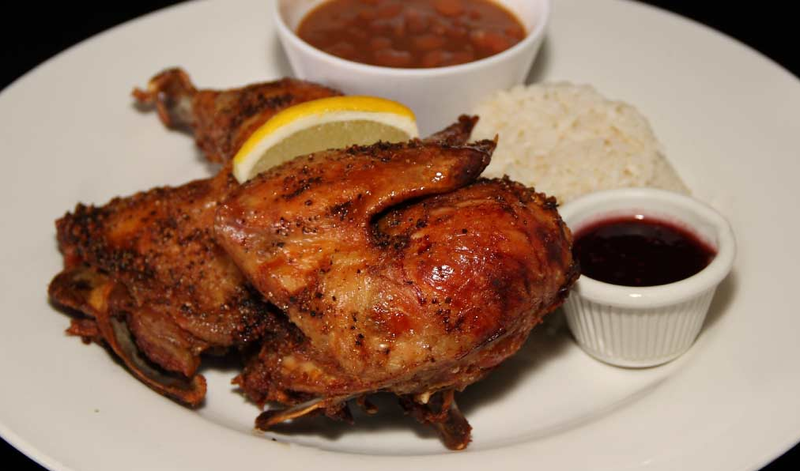 Locals who frequent Kiosco recommend the “Medio Pollo al Horno,” a half, roasted chicken breast with raspberry sauce. The “Picada para Dos” is also a favorite, a large shared platter for two (or more!) with grilled steaks, chorizo, chicharron, chicken, and sides. Both options come with rice and beans, or sauteed or steamed vegetables. But with anything you eat here, you can’t go wrong! For dessert, you can try the “Tres Leches Cake,” the “Coconut Cobbler,” or the well loved “Coffee Flan.” And of course, Kiosco has a selection of wine, beer, and cocktails. Ready to plan your visit to one of Marietta’s top Latin American restaurants yet? Before you go, make sure to call ahead for a reservation, because Kiosco can fill up fast! The restaurant is located at 48 Powder Springs Street in Marietta. Limited street parking is available, but it’s easier to find parking in nearby lots just off the square, and walk a block to the restaurant.